Mostly, I was lazy and it was grand. I let the kids be lazy, too. We slept later, we breakfasted in our pjs, they played games on the computer. I had no “to do” list. We’ve worked so hard this school year that we really needed a mental and physical break. 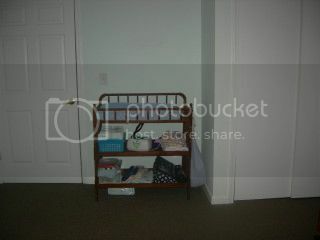 This was the view as soon as you opened the door — a glider rocker and Sophia’s toddler bed. Jesse’s area plus a dresser the two kids shared. This “toy” cabinet was to the right as you go in the door. As you can see it wasn’t being used to its full potential at all. 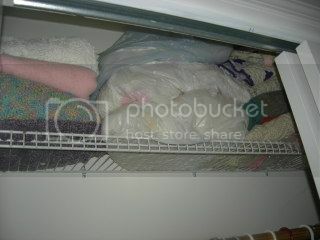 The top of the closet was stuffed with extra blankets. My mind had been ruminating for a long while about the problem with the teeny tiny boys room upstairs. It started out with 3 boys in twin beds. That was crazy. 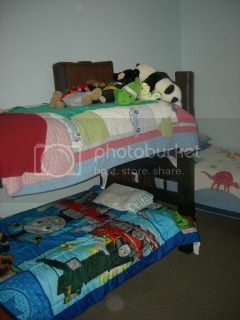 We bought a set of bunk beds as quickly as we could from Craigslist and it helped a little. But they struggled mightily to keep such a crowded tight space clean. 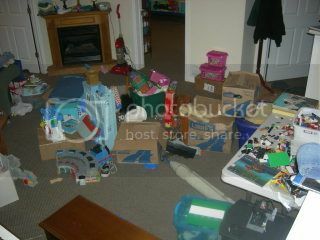 We toyed with all kinds of ideas from moving Novella downstairs and the three boys into her room to moving ALL the kids downstairs and eliminating Dad’s office (that was popular — NOT!!). Finally I hit upon an idea I liked. 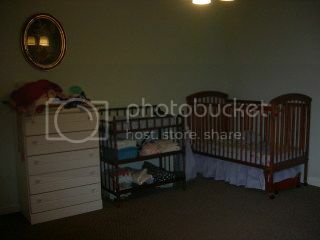 While Novella LOVED having her own room, I had never been happy about splitting up the two girls. Sophia needed to be close to Mom and Dad when we first moved here but I thought maybe she might be ready to go back upstairs to the girl room. And John. Sweet John is such a different personality than the rest of the gang. He needs his personal space. Plus he really needed a buddy! 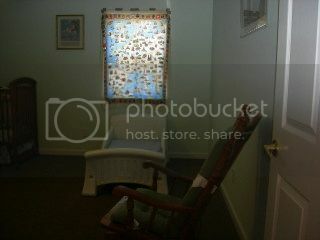 So the obvious choice was to put him in the downstairs bedroom with Jesse and move Sophia up. Anyway, Abe was more than happy to help me pull off my scheme. With his help, we transformed the downstairs bedroom into an all boy room. 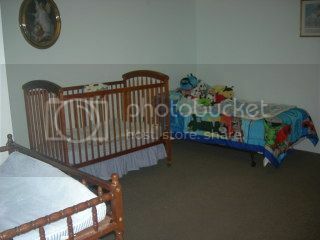 Now the glider rocker is in the corner and you can see John Elijah’s bed on the opposite corner. 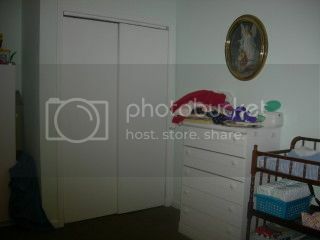 The white chest stayed and is on the wall by the rocker. 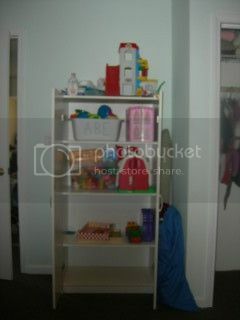 We moved the old toy cabinet to the washroom and put the changing table in its place. We’ve got a lot of really cool ideas about how to decorate this space. We’re hoping to get really creative and do a DIY bamboo headboard when the bamboo growing rapidly in our yard gets a little taller. John Elijah is a super panda lover so in addition we’re going to go with a black and white theme color and use a cool green as an accent color. That should work well as the walls are already painted a light cool green. 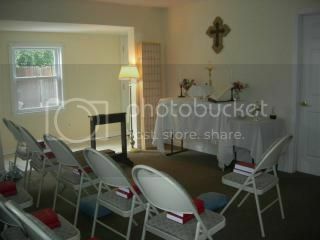 We did THIS to the great room when we started. YIKES!! Wow!! You are on a roll!! Next Skype, I want to see Abe’s muscles on his arms!! 100 push ups a day!!!??? How/Who motivates him to do that??? It sure a hard work, but it’s worth it. 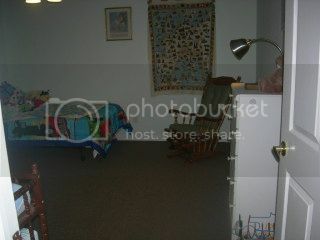 Kids room looks nice. I love the bunk beds. Have a great day! Oh! John is so sweet! Loved getting to see how you did this room! good job.